Los Angeles Universal Preschool (LAUP), along with 15 counties throughout the state of California, will receive millions of dollars in funding from the U.S. Department of Education’s Race to the Top – Early Learning Challenge (RTT-ELC) award. The federal grant will help pave the way for LAUP and the other grantees to collaborate, develop, and implement quality rating systems to better serve children between the ages of zero and five. “This is a groundbreaking opportunity for LAUP, and the $5.1 million dollars our organization will receive from this $52 million dollar grant will greatly assist us as we all work to increase the quality of early education programs,” said Celia C. Ayala, LAUP’s chief executive officer. The grant will be given out over a four-year period. 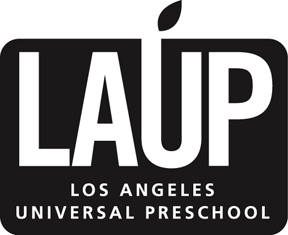 LAUP’s role in this collaboration is to help provide specialized coaching and training, technical assistance, incentives and assessments to Los Angeles County early education providers, with the intention of greatly improving the quality of their current program. Emphasis will be placed on those who serve English Language Learners (ELL), at-risk children and children with special needs. “Research shows us the significant impact highly educated teachers and quality learning environments have on children. This funding will go a long way to help meet the needs of thousands of young children who need it the most,” continued Ayala. California is one of only nine states to receive this kind of federal funding to improve the state's early childhood education programs. Key components of LAUP’s 5-Star Quality Rating and Improvement System, used throughout the non-profit’s network of preschool sites, will be implemented in the new rating systems. For more information on RTT-ELC and the other grantees, visit www2.ed.gov/programs/racetothetopearlylearningchallenge/index.html.